This is the card I made for Florie Dean who will be 105 in May. 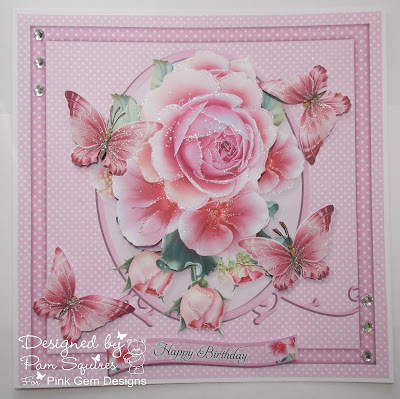 I used the Pink Roses and Butterflies topper kit. Layered the flowers and butterflies and added lots of glitter. Beautiful card Pamela am sure it will be greatly received..